Department of Veterans Affairs Education Benefits Page: This page contains in-depth information about the various education benefits administered by the Department of Veterans Affairs. Please click on the program names below for more information. If you need additional assistance, please contact us via email by clicking on the “Questions & Answers” link on the left hand side of this page or call our toll-free number 1-888-GI-BILL-1 (1-888-442-4551) to speak with a Veterans Benefits Counselor. a monthly housing allowance based on the Basic Allowance for Housing for an E-5 with dependents at the location of the school. For those attending foreign schools (schools without a main campus in the U.S.) the BAH rate is fixed at $1,333.00 for 2009. Transfer of Post-9/11 GI Bill Benefits to Dependents (TEB): For the first time in history, servicemembers enrolled in the Post-9/11 GI Bill program will be able to transfer unused educational benefits to their spouses or children starting Aug. 1, 2009. Montgomery GI Bill – Active Duty (MGIB-AD): The MGIB program provides up to 36 months of education benefits. This benefit may be used for degree and certificate programs, flight training, apprenticeship/on-the-job training and correspondence courses. Remedial, deficiency, and refresher courses may be approved under certain circumstances. Generally, benefits are payable for 10 years following your release from active duty. This program is also commonly known as Chapter 30. $600 Buy-up Program-Some servicemembers may contribute up to an additional $600 to the GI Bill to receive increased monthly benefits. For an additional $600 contribution, you may receive up to $5400 in additional GI Bill benefits. The additional contribution must be made while on active duty. For more information contact your personnel or payroll office. Montgomery GI Bill – Selected Reserve (MGIB-SR): The MGIB-SR program may be available to you if you are a member of the Selected Reserve. The Selected Reserve includes the Army Reserve, Navy Reserve, Air Force Reserve, Marine Corps Reserve and Coast Guard Reserve, and the Army National Guard and the Air National Guard. This benefit may be used for degree and certificate programs, flight training, apprenticeship/on-the-job training and correspondence courses. Remedial, deficiency, and refresher courses may be approved under certain circumstances. Reserve Educational Assistance Program (REAP): REAP was established as a part of the Ronald W. Reagan National Defense Authorization Act for Fiscal Year 2005. It is a Department of Defense education benefit program designed to provide educational assistance to members of the Reserve components called or ordered to active duty in response to a war or national emergency (contingency operation) as declared by the President or Congress. This program makes certain reservists who were activated for at least 90 days after September 11, 2001 either eligible for education benefits or eligible for increased benefits. Veterans Educational Assistance Program (VEAP): VEAP is available if you first entered active duty between January 1, 1977 and June 30, 1985 and you elected to make contributions from your military pay to participate in this education benefit program. Your contributions are matched on a $2 for $1 basis by the Government. This benefit may be used for degree and certificate programs, flight training, apprenticeship/on-the-job training and correspondence courses. Remedial, deficiency, and refresher courses may be approved under certain circumstances. $600 Buy-up Program-Some reservists may contribute up to an additional $600 to the GI Bill to receive increased monthly benefits. For an additional $600 contribution, you may receive up to $5400 in additional GI Bill benefits. You must be a member of a Ready Reserve component (Selected Reserve, Individual Ready Reserve, or Inactive National Guard) to pay into the “buy-up” program. For more information contact your personnel or payroll office. Educational Assistance Test Program (Section 901): Section 901 is an Educational Assistance Test Program created by the Department of Defense Authorization Act of 1981 (Public Law 96-342) to encourage enlistment and reenlistment in the Armed Forces. Benefits are available to individuals who entered on active duty after September 30, 1980, and before October 1, 1981 (or before October 1, 1982, if entry was under a delayed enlistment contract signed between September 30, 1980, and October 1, 1981). Air Force Eligibility Requirements for Section 901. All three of the following criteria must have been met to establish eligibility for this benefit. Must have enlisted between December 1, 1980 and September 30, 1981. VA determines has a service-connected permanent and total disability; and at the time of VA’s determination is a member of the Armed Forces who is hospitalized or receiving outpatient medical care, services, or treatment; and is likely to be discharged or released from service for this service-connected disability. Persons eligible under this new provision may be eligible for DEA benefits effective December 23, 2006, the effective date of the law. DEA provides education and training opportunities to eligible dependents of veterans who are permanently and totally disabled due to a service-related condition, or who died while on active duty or as a result of a service related condition. 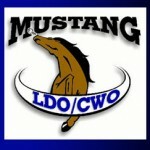 The program offers up to 45 months of education benefits. These benefits may be used for degree and certificate programs, apprenticeship, and on-the-job training. If you are a spouse, you may take a correspondence course. Remedial, deficiency, and refresher courses may be approved under certain circumstances. Special Restorative Training is available to persons eligible for DEA benefits. The Department of Veterans Affairs may prescribe special restorative training where needed to overcome or lessen the effects of a physical or mental disability for the purpose of enabling an eligible person to pursue a program of education, special vocational program or other appropriate goal. Medical care and treatment or psychiatric treatment are not included. Contact your local VA office for more information.Special Vocational Training is also available to persons eligible for DEA benefits. This type of program may be approved for an eligible person who is not in need of Special Restorative Training, but who requires such a program because of a mental or physical handicap. Contact your local VA office for more information. National Call to Service Program:This National Call to Service Incentive program requires a participant to perform a period of national service to be eligible for benefits. It is a Department of Defense program that is administered by VA.
Texas Veterans Commision – Hazlewood Act – The Hazlewood Act provides qualified veterans, spouses, and children with an education benefit of up to 150 hours of tuition and fee exemptions at state supported colleges or universities. GoArmyEd: is the virtual gateway to request Tuition Assistance (TA) online, anytime for classroom, distance learning, and eArmyU online college courses. GoArmyEd is a dynamic online portal that automates many of the paper-based processes you historically conducted with your Army Education Counselor. Army Medical Specialist Corps – Army Physicians Assistant Program- The Army offers well qualified officers, warrant officers, enlisted soldiers, and ROTC Cadets an incredible educational opportunity to become a Physician Assistant (PA) through the Interservice Physician Assistant Program (IPAP) located at the AMEDD Center & School, Fort Sam Houston, Texas. The Army trains approximately 150 soldiers a year alongside candidates from the Air Force, Navy, Coast Guard, U.S. Army Reserve, National Guard, and U.S. Public Health Service. Graduates earn a Masters degree from the University of Nebraska and receive a commission as a 1LT in the Army Medical Specialist Corps. Officer students receive constructive credit for their commissioned service IAW DODI 6000.13. Graduates must pass the Physician Assistant National Certifying Exam (PANCE) before they can provide world-class healthcare to our soldiers. Physician Assistants (PA) are important members of the AMEDD healthcare team and provide a broad range of medical services traditionally performed by physicians. They are the primary medical provider to soldiers in battalion and division level units and also provide garrison healthcare to soldiers, family members, and other eligible beneficiaries. The Army PA has served the nation in all conflicts and peacekeeping missions since the Vietnam War. Navy College Program: The Navy College provides Sailors with opportunities to earn college degrees through a variety of options. The program’s mission is to provide continual academic support to Sailors while they pursue a technical or college degree, regardless of their location or duty station. Navy College Program for Afloat College Education (NCPACE) – NCPACE gives Sailors the opportunity to experience challenging education and continue their personal and professional growth while on sea duty assignments. NCPACE is a part of the Navy College Program and provides both academic skills and college (undergraduate and graduate) courses. All courses are offered by colleges and universities accredited by an accrediting agency recognized by the Department of Education. NCPACE courses, including academic skills courses, are provided to Sailors tuition-free. Academic skills instructional materials are provided at no cost; however, Sailors must pay the cost associated with their college textbooks and other educational materials. Courses are taught via technology and by traditional classroom instruction. All undergraduate courses are from institutions with Servicemembers Opportunity College – Navy (SOCNAV) affiliation ensuring Sailors the opportunity to transfer credits and complete degrees. Commands desiring to participate in NCPACE should contact their servicing Navy College Office (NCO) prior to their scheduled deployment. Your servicing NCO will schedule an Orientation Service consisting of the following: A commanding officer’s brief, crew brief, counseling services, and placement testing. This in-depth review informs personnel of all available NCPACE services and covers a period of 6 months. All these activities will cumulate to a unique Education Plan developed by the NCO and approved by the command. The Command Education Plan will be specifically designed with courses the crew desires to assist the Sailor in completing his/her degree. After the Command Education Plan has been approved, course orders a re submitted to Naval Education and Training Development and Technology Center (NETPDTC). Once the contractor receives the order from NETPDTC, the contractor will come onboard to register students and sell textbooks. Academic Skills provides the educational foundation for the Navy College Program. To assist in your preparation for college courses, Navy provides instruction in basic subjects. You may work on your English, Mathematics, and Reading skills ashore at either the Navy College Learning Centers (NCLCs) computer labs or in the Navy College Learning Program (NCLP) instructor taught classes. In either program, you will be given diagnostic tests and will begin your instruction at a level appropriate to your needs. Instruction in academic skills is available at no cost to you or your command. Naval Academy: The Naval Academy was founded in 1845 by the Secretary of the Navy, George Bancroft, in what is now historic Annapolis, MD. The history of the Academy has often reflected the history of the United States itself. As the U.S. Navy has moved from a fleet of sail and steam-powered ships to a high tech fleet of nuclear-powered submarines and surface ships as well as supersonic aircraft, the Academy has changed also. The Naval Academy gives young men and women the up-to-date academic and professional training needed to be effective naval and marine officers in their assignments after graduation. 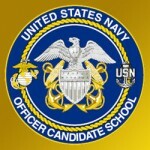 NROTC: The Naval Reserve Officer Training Corps (NROTC) Program was established to develop midshipmen mentally, morally and physically and to imbue them with the highest ideals of duty, and loyalty, and with the core values of honor, courage and commitment in order to commission college graduates as naval officers who possess a basic professional background, are motivated toward careers in the naval service, and have a potential for future development in mind and character so as to assume the highest responsibilities of command, citizenship and government. LDO/CWO Program: Limited Duty Officer and Chief Warrant Officer are two separate programs that provide the Navy with officer technical managers and technical specialists who exercise leadership in key positions throughout the service. Combined, these two communities make up more than 11 percent of the officer corps. Both programs provide the opportunity for outstanding senior enlisted personnel to compete for a commission. Currently a college degree is not required to apply however, a more educated force and a recognition of the professional benefits of education will certainly make a college degree required for future promotion. 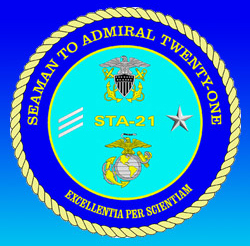 Seaman to Admiral 21: Our mission is to offer qualified enlisted sailors the ability to move into officer ranks. Since its rebirth in 1994, the Seaman to Admiral (STA) program has undergone several changes to meet the needs of the Navy and Sailors, but the spirit embodied by Admiral Boorda remains intact. STA has always been a commissioning program in which participants maintain the pay, benefits, and privileges they enjoy as active duty Sailors and receive a scholarship to attend a top-notch university. Each of these Sailors goes on to rewarding careers as naval officers. 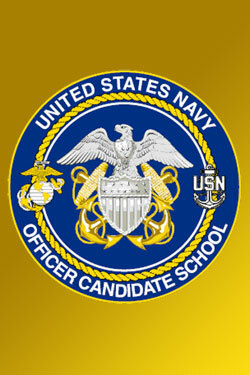 Officer Candidate School: OCS is one of five Officer training schools located at Naval Station Newport in Rhode Island. This website provides valuable information for those considering pursuing a commission through OCS and others scheduled to train here. The 12 week OCS course is designed to give you a working knowledge of the Navy (afloat and ashore), to prepare you to assume the responsibilities of a Naval Officer, and to begin developing you to your fullest potential. OCS is extremely demanding; morally, mentally, and physically. Your personal Honor, Courage, and Commitment will be tested at OCS and you will be challenged to live up to the highest standards of these core values. The school’s curriculum will demand the most of your academic prowess. Mental training involves memorization of military knowledge, academic courses, and military inspections. Physical training (PT) begins immediately upon arrival at OCS. PT consists of running programs augmented by calisthenics, as well as aquatic programs. You must be committed to the goal of earning a commission as an Ensign in the Navy before arriving at Officer Candidate School. 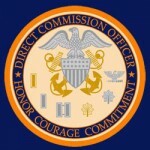 Direct Commission Officer Indoctrination Course: The purpose of this course is to provide Direct Commissioned Reserve Officers Military Indoctrination Training necessary to prepare them to function in their role as newly commissioned Naval Officer. It provides a basic introduction into fundamental aspects of leadership while providing a working knowledge of available references. Academics: 90 hours of instruction in Naval Leadership, Naval Administration, Naval Organization, Sea Power, Military Law, Military Indoctrination, Third Class Swim, with time allotted for Physical Conditioning. 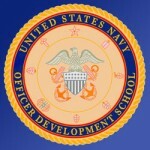 Officer Development School: The purpose of this course is to provide Staff Corps Officers and Nuclear Power Instructors/Engineers with training necessary to prepare them to function in their role as newly commissioned Naval Officer. It provides a basic introduction into fundamental aspects of leadership while providing a working knowledge of available references.